Claudio Ranieri claimed that this could be the game that changes everything for Leicester City and, while that remains to be seen, there was one single moment that changed everything about this tie. That was when Jamie Vardy struck on 73 minutes to claim an away goal and make it a narrow and nervy 2-1 Sevilla win rather than what would have been fairly cast a 2-0 that should have been 6-0. It was the England international’s first goal of 2017 and first in the Champions League and could it yet be the first symbolic change that Ranieri called for? It certainly changed the tone and psychology of this entire match. 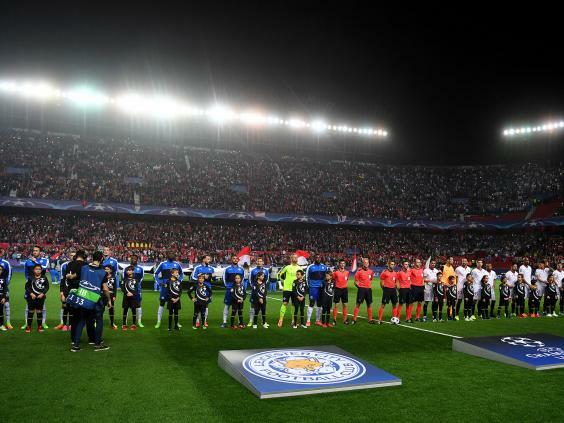 Up until then, with goals from Pablo Sarabia and Joaquin Correa – who also missed an early penalty – Sevilla had been in complete command and so completely pulling Leicester apart at will and at speed. The only thing that seemed to be changing was perceptions of Jorge Sampaoli’s team, as they looked like one of the finest sides on the continent, a proper contender for this trophy rather than just an awkward draw other teams would prefer to avoid. Instead, they ended the game looking so nervous and anxious. 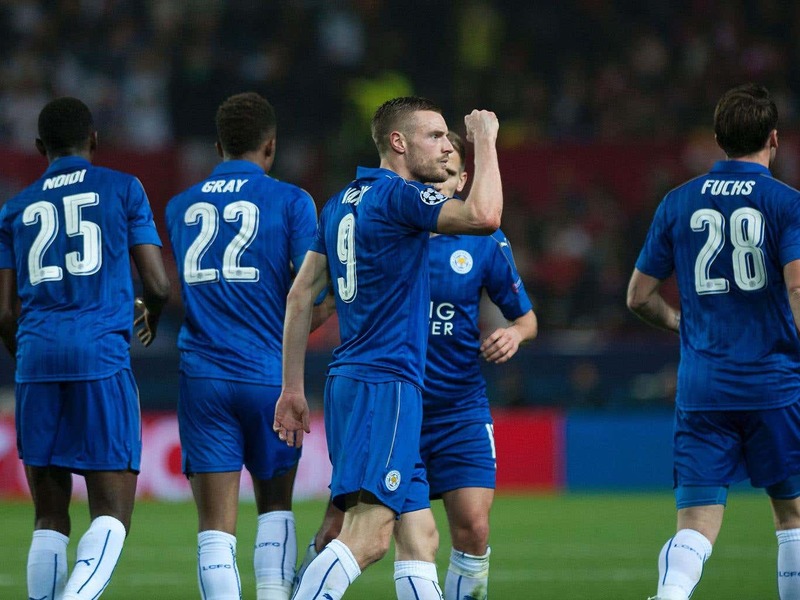 Leicester had an away goal – and a big chance of going through – that they scarcely deserved. The reality was that this tie could really have been settled by half-time of the first leg, let alone the end of it. Sevilla were that good, that dominant. And, most impressively, that fast. With full-backs suddenly bursting into the box from deep, the attackers so swiftly going outside and crosses seemingly fizzing in from everywhere, Sampaoli’s side came at Leicester like a whirlwind, threatening to blow them away. 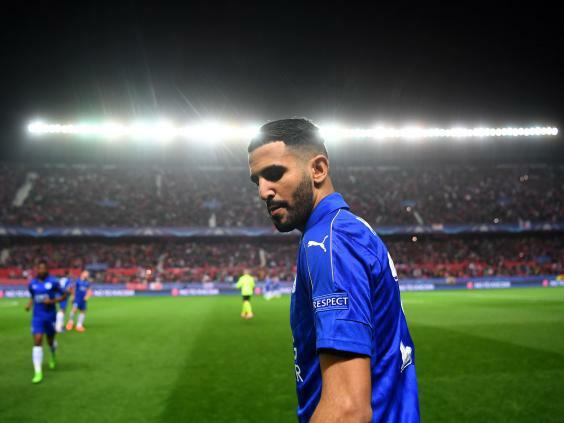 There are few teams in Europe who could live with what Sevilla were doing, or manage to keep up with them, but it didn’t help that Leicester were so badly off the pace. It summed up their difficulties that, even though they so conspicuously tried to play the deep defence that served them so well last season, every single Sevilla flick or pass through the centre seemed to open up the entire Leicester half. Through that, Steven Jovetic, Joaquin Correa and the transformed Samir Nasri were causing havoc, as Pablo Sarabia and the exceptional Sergio Escudero did so much damage. It seemed inevitable that Leicester would be overwhelmed, and that is pretty much the only way to describe what Wes Morgan looked like as he so cumbersomely took down Joaquin Correa in the box on 15 minutes. The only problem for Sevilla was that Correa’s penalty looked just as lazy, as Schmeichel got down to save it. Given the difference in how the teams had started, with Sevilla so fiercely fast and Leicester seemingly blinded by the lights of the stadium, that could have been a bit of a psychological turning point; something to at least encourage Leicester. It didn’t change a thing. Sevilla just kept coming, kept powering the ball into the Leicester box, until Sarabia eventually powered one cross from Escudero past Schmeichel. The keeper didn’t have a chance, but then Leicester wouldn’t have had any chance of making it to half-time without him. Schmeichel pulled off a series of saves – from Sarabia, Escudero and Correa – to try and drag his team into this tie. It was so noticeable that, when the players had a waterbreak due to an injury, the goalkeeper was the one doing all the talking; all the shouting. None were reacting like him, though. Leicester continued to look so sluggish, with neither Jamie Vardy nor Ahmed Musa showing any of the pace they are famous for. Musa did finally get free on the right to try and use that pace early in the second half… only to somehow run the ball out for a goal-kick. It was nearly comical, except so depressing for Leicester. Beyond that, the game continued in much the same vein, with Sevilla relentlessly coming at Leicester and Schmeichel regularly required to keep them out. There was as much art as energy to one move on 50 minutes, as Nasri – so sensationally setting the tempo – picked out Vitolo with a beautifully weighted pass, only for the striker to hit the post from an acute angle and see the ball roll right across the face of goal. Sevilla hit the frame of the goal again a 15 minutes later but, this time, it saw the ball shake the net with vigour. Sampaoli’s side had just executed one of the moves of the game, with Jovetic showing why he was once considered one of the brightest attackers in Europe. The Montenegrin showed supreme chest control to so exquisitely bring the ball into the box, before then using physical force to hold off Morgan and the rest of the defence to deftly feed the oncoming Correa to finish. The striker made amends for his saved penalty with extreme prejudice, smashing the ball in. Sevilla should have been out of sight but, instead, something happened that no-one could have seen coming – certainly not Sergio Rico in the home goal. With Sampaoli’s side suddenly switching off, Danny Drinkwater played a fine ball across goal for the unmarked Vardy to strike. Suddenly, it was Sevilla nervy, Ranieri’s team energetic. Sampaoli’s attackers were now forced into hauling Leicester players down near the halfway to prevent attacks starting, such was their fear. They still hit the bar late on through an Adil Rami header from a corner but, just like the whole night for Sevilla, it was just frustratingly off. They were brilliant, and should be talking about winning this competition. Instead, the talk will be of that away goal, and a new chance for Leicester. Given everything that has happened lately, and all that happened in this game, that will finally feel like a positive for Ranieri. This was yet another Leicester defeat, of course, but one so different to the rest.